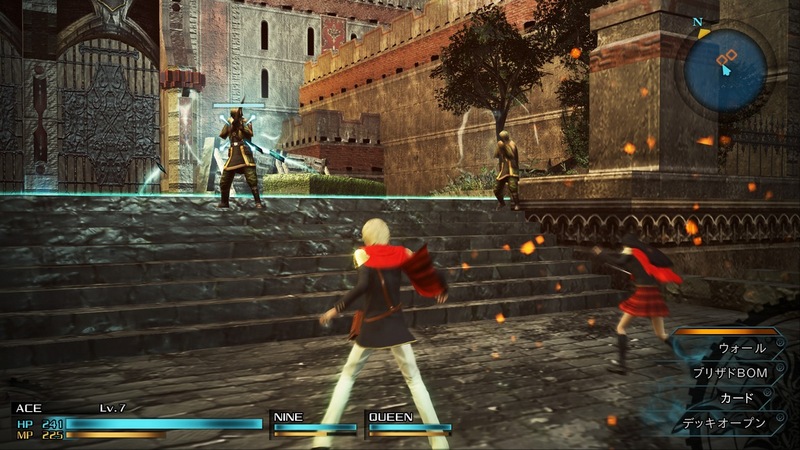 The PlayStation 4 version of Final Fantasy Type-0 played almost exactly like the PSP version, with obvious modifications due to the controls. Oddly, despite having more buttons and increased overall control, I felt that the camera was giving me more problems than in the PSP version. Inconvenient and crampy as “The Claw” may have been, I guess I just got used to it. This might be symptomatic of having spent over 40 hours with the PSP game and only 15 minutes with the PS4 game. Due to just how many things are required and fact that there’s no pausing for the item menu, I expect newcomers and veterans to take a while adjusting to the controls. It looks nice, but I use the term with reservations. Jagged edges line everything, to a much more severe extent than I ever expected. This has been visually remastered, but it’s still a PSP original, and it shows. The game looked straight up terrible when the camera would automatically zoom in during times of close combat. Given how good both the PS3 and Vita versions of Final Fantasy X looked, I never expected Type-0 to be this rough. Some games are current-gen exclusive because the PS3 and 360 simply wouldn’t have been able to handle them, but FF Type-0 HD is an example of one that’s exclusive to PS4 and Xbox One simply because reasons. While Type-0 may look powerfully average on a TV screen, it hurts to know that would look stellar if shrunken down onto a Vita screen. Many fans were already puzzled — others, furious — and Tokyo Game Show has proven the lack of Vita version of Final Fantasy Type-0 to be even more ridiculous. These screenshots are, as official media tends to be, much better looking than the real live product. Final Fantasy Type-0 HD’s TGS session provided a decent sampling of the game’s fast and fun combat, but gave a gut-punching reality check regarding its visuals. It’s on a TV screen, you gotta give it that, but it’s not what I would call an improvement.